Banksy at Stanford: Or Has He Been Here all Along? STANFORD, CA—Following his month long stint in New York, elusive graffiti artist, phantom-of-the-opera in training and part-time magician, Banksy changed locales, targeting the pristine walls of Stanford. He began his aerosol assault immediately upon arrival, stealthily painting murals on virtually all major campus landmarks. Bansky started with Hoover Tower, putting a likeness of the tower’s namesake painted in Shepard Fairey’s style with the caption ‘You’re Welcome.” He then moved on to the GSB, writing ‘Graduate School of Business’ in the Google font and colors with a search in the queue reading, “where is my soul?” Completely missing the point, business school students have already created an app to predict the artist’s next target. One noted, “we’ll figure out how to monetize it later.” Silhouettes of Stanford students engaged in quasi-baptismal fountain-hopping while a distinctly sad duck looks on were found on the front of Old Union facing The Claw. The visual social critiques keep cropping up and campus police have vowed to crack down on this vigilante vandal. As soon as they apprehend a slutty green power ranger suspected of bike theft spotted near the quad last Thursday. One discerning student spotted a shocking pattern that may answer the burning question that has tantalized a generation: ‘Who is Banksy?’ The only buildings left untouched were those donated by business tycoon John Arrillaga, leading to accusations that Arrillaga and Banksy are in fact one and the same. 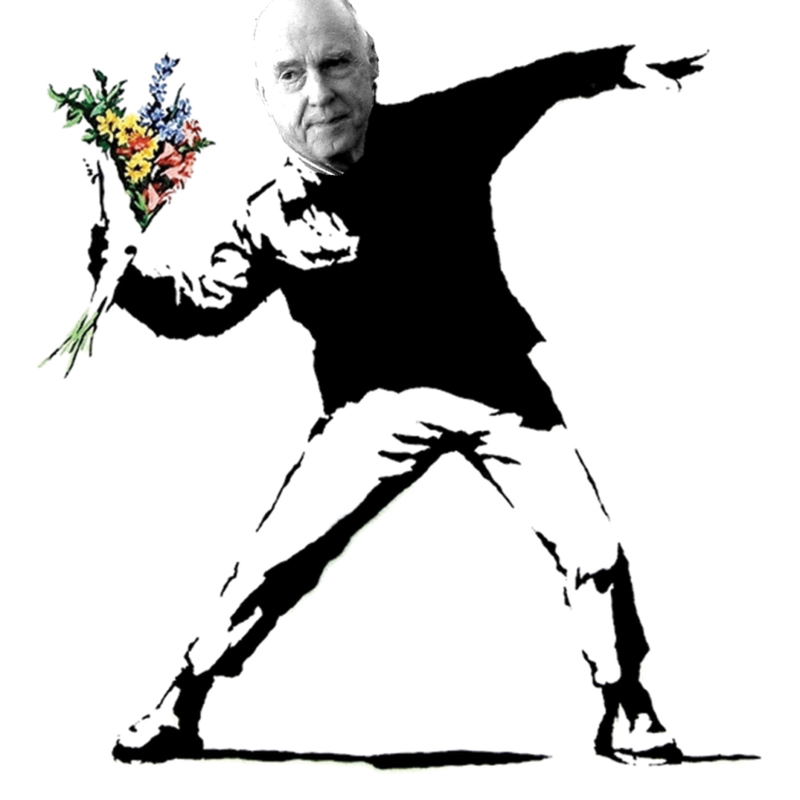 Shockingly, on his blog, Banksy confirmed the student’s suspicions.